A trio of quintessentially British flavours combine in this delicately carbonated juice drink, containing fewer than 85 calories. 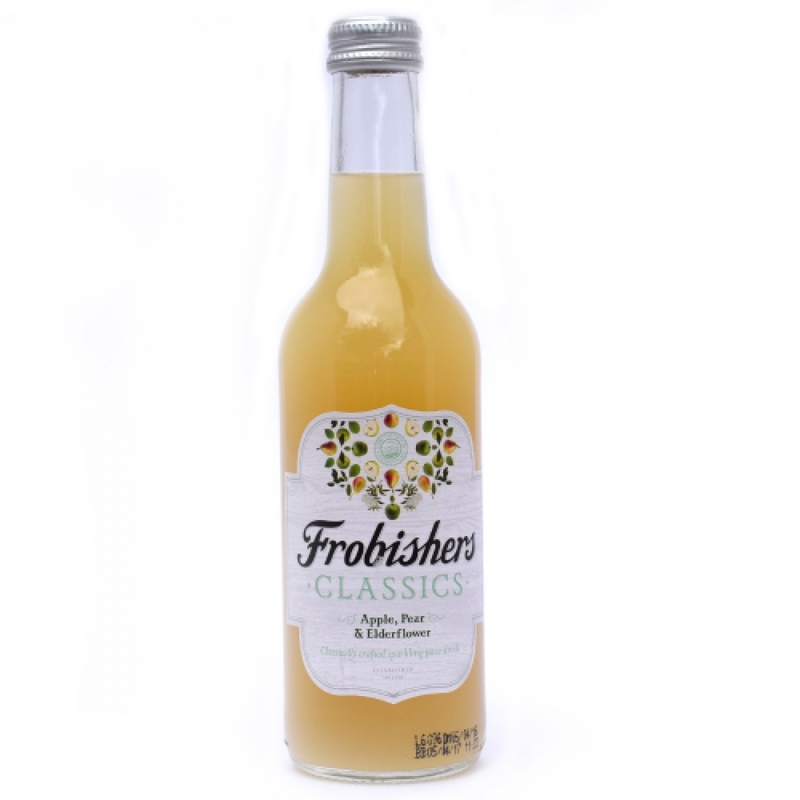 Frobishers Juices is the proud maker of some of the best juices, soft drinks and smoothies you can buy. Their mission is to make delicious, authentic tasting fruit juices using the finest fruits from across the globe, picked and pressed at their best. They don’t use concentrates or anything artificial. Just honest, natural fruit juice that you can trust. They are a regular in the acclaimed Great Taste Awards hall of fame, with many of their juices voted ‘simply delicious’ and ‘outstanding’ by the judging panel made up of the UK’s leading food journalists, buyers, restaurateurs and top celebrity chefs.